Broadoak School is a very special school with an ‘Outstanding’ reputation. In 2012 Broadoak School became an Academy and together with Ashton on Mersey School formed a new Multi Academy Trust – ‘The Dean Trust’. 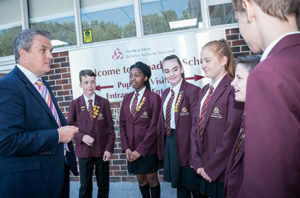 Broadoak School has a great reputation for quality education, particularly within the fields of Applied and Vocational Education in which we are recognised as being outstanding practitioners nationally. 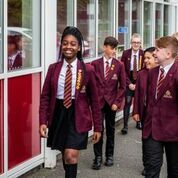 With its traditional values and high aspirations, Broadoak School is a world class learning environment in the heart of a caring community that pupils, parents and carers can be proud of. We are delighted that you are considering entrusting your child to Broadoak School. Our aim is to work in partnership with all parents and we will always be pleased to meet with you and discuss your child’s education. 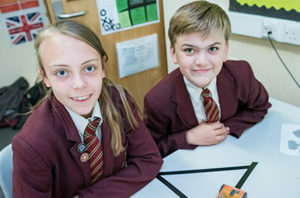 This school welcomes each child to be part of a community in which all concerned endeavour to provide a happy, safe and stimulating environment. I hope this prospectus gives you a flavour of the work we do. To really appreciate Broadoak School, please take the time to come and see what we have to offer, and have any questions answered. We look forward to welcoming you in to school.